Katherine Starbird is an award-winning American author of fiction, born and raised in coastal Florida. Her stories blend fantasy and realism to create worlds where the unexpected is ordinary and the ordinary, surreal. Katherine is an active member of the Authors' Roundtable of Mount Dora and the Florida Writers Association. Feb 7th, 2015, I’ll be at the WLOV Author Showcase at the Villages. Authors, do you base your stories on people you know? Using real people as models can lend depth and backstory to your characters–details that can take a lot of time and effort to develop. But be warned, it can introduce problems as well. Color it up! Adding new dimensions and hues to real-life models can result in believable, complex characters. Surprise, you’re trying to write fiction. Or you wrote about Auntie Mary but you’d just die if she read what you said about her in your story. That book won’t see the light of day until your dear Auntie Mary passes to her eternal reward. There’s a better fix other than offing you relatives or writing a memoir. On the surface is how they look–physical features such the skinny blonde, the slick banker with sharp features who dresses in New-York black suits, the tall cowboy prefers a duster and motorcycle boots with his Stetson, or plump Auntie Mary with her silver curls and an apron tied over her floral blouse and capris. You get the picture and can think of many more examples. 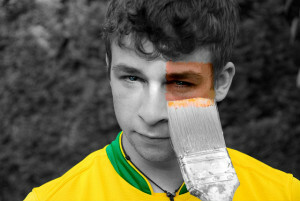 The second layer to your characters consists of their mannerisms, likes, dislikes, quirks etc. Auntie Mary is always trying to feed you something. You broke up with your boyfriend, she bakes a pie. You cut your finger, you can’t leave until she makes you a lasagne. We see these personality trails through the character’s actions. Additional deeper layers don’t show right away but can have an effect on the story. These are things like the character’s backstory and core beliefs. The deepest and most important layer is who your characters are under pressure. Through the story’s conflicts, your characters’ beliefs come under fire. How they respond to the most intense conflict reveals elements of character that even the character may not have known. In facing tough situations, the characters may learn something about themselves. More importantly, the reader comes to know the characters at the deepest level. This makes for an excellent story. If you are stuck on what happened in real life, you cheat your story of those moments. To separate real life examples from the people in your story change the first layer–the outward appearance of your character. We rely so heavily on our sense of sight, that the difference between the image of the character in real life and in the story may be all you need cut the strings that bind the two together. Turn Auntie Mary into an anorexic. Change her gender, race, or national origin. Anything that will make her different in your mind from your real life Aunty Mary. If you still think she is too recognizable to the real life version, give your character a different second layer. Auntie Mary could love to tell dirty jokes, or become a compulsive cleaner or a real mess. Or she could dress in fall colors. It doesn’t matter. What matters is that in your mind and hers (if she ever reads your work), she will not be the same as the original. When I was young, I spent a lot of time on the water. My family had a sailboat and my parents were teachers, so we spent the summers sailing around Florida and the Caribbean. Most of the stories I dreamed up as a child took place around salt water. This story is a sort of remembrance, a memorial for a group of dear sailing friends that met regularly during the seventies. My parents went out sailing with their friends every Wednesday night of my childhood unless the weather was stormy and sometimes even then. I remember one night so cold that we children huddled around a kerosene heater in the cabin in a futile attempt to get warm. So much for balmy Florida winters. The characters are not the same, but I drew on a few memories to color in the details. I hope you enjoy reading about Elof and Reenie Gyse’s struggle as much as I enjoyed the writing. The novella, Reenie Gyse, is now on Amazon, Kobo, B&N, Smashwords, and other sites. 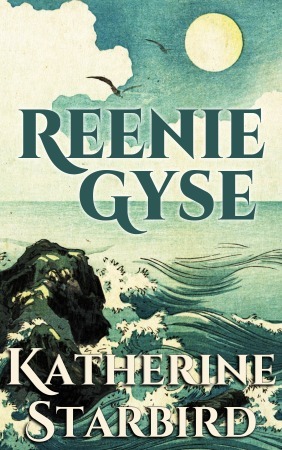 You can read more about Reenie Gyse on the book page here. A paperback version is in the works. 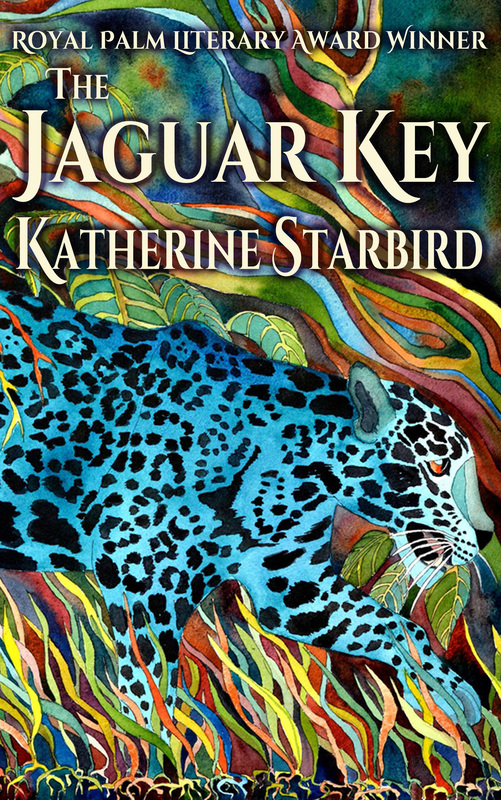 It feels wonderful to finally have a paperback version of my first novel The Jaguar Key. It has taken far longer than expected and many more iterations that planned, but the result is worth the wait. The matte finish on the cover has a pleasing touch, the cover art is gorgeous, and the story, well, I really like it. I hope you do too. 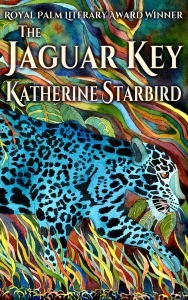 The Jaguar Key is also available in eBook format on Kindle. At the end of January, when my exclusivity deal through Kindle Direct expires, I’ll release the eBook on platforms other than Amazon to make it more widely available. I thought the ability to download free copies through Amazon Prime would help readers, but I received many comments from people who are not Amazon customers–proof that not everyone reads the same. Artist Kathy Park agreed to let me use her Blue Jaguar painting as the cover art. I couldn’t be more thrilled. Is it possible to be in love with a painting? The beautiful watercolor wraps all the way around the cover. The book won first place in the Royal Palm Literary Awards before it was published. Just knowing that other writing professionals approved of my work was a huge confidence boost. It also gave me a bit of swag for the cover–great for a writer just starting out. There’s more about The Jaguar Key, here. Near the beginning of Rosamond Eternal, there is a brief scene where Rosamond runs toward the sound of ringing church bells. I thought you might find it interesting that the bells actually did toll that day in Sucre and other towns throughout what would become Boliva. In the United States we know the story of how the liberty bell was rung to proclaim freedom at the signing of the Declaration of Independence in Philadephia. When Boliva had its a day of independence on May 9th, 1809, the bells in Chuquisaca, North Peru, rang to proclaim independence from Spain. Although many battles for Boliva were still ahead, this seemed like the perfect backdrop for Rosamond to gain her freedom. The revolution gave Emil a reason to be in the country at the same time as Rosamond so their paths would cross. In the world of my novels, Emil helped the rebels formulate their ideology as he did in America, and thus the rebellious colonials became the patriots we revere today. Having seen Emil, Rosamond headed north, seeking a place she would be safe from Abuto. She eventually found refuge in the capitol city of the United States, the same city were Emil resided. The Jaguar Key is available from Amazon.com. Writers seeking professional development often turn to conferences as a way to learn about the craft, meet other writers, and pitch their work to agents and publishers. But the biggest and most publicized conferences can be expensive, even more so when you factor in travel and hotel expenses. There is another option: the local conference. These are often hosted by state or regional writing groups or the local chapters of national groups and offer great value. on a project to the exclusion of everything else. Right now it’s getting Rosamond Eternal out the door. Thank goodness I checked out the program before saying no. 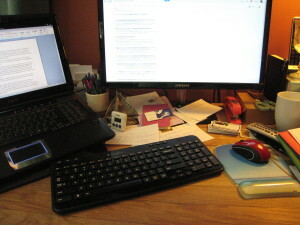 I almost didn’t; I’ve been busy as evidenced by the state of my desk. At this conference small were several agents who flew in from as far away as Los Angeles just to spend the day with a group of 100 plus writers. What an opportunity for these writers to not only pitch their work to agents actively building their lists, but to talk with these people who have a window on the other side of the publishing business. Several of the agents conducted sessions in which they shared their understanding of the publishing business and welcomed questions from the writers. One session had less than twenty participants and two literary agents from a well-respected Boston agency. Then there was lunch, a healthy and delicious lunch at which the presenters (agents, publishers, social media experts, editors, and so on) mingled and dined with the participants. Talk about intimate. As for the local talent, that’s Talent with a capital T. Sitting across the table from someone once or twice a month in critique groups is not the same as listening to their professional presentation at a conference. Some of these folks travel to national conferences to present the same material. Some are amazingly skilled writers with insight into the craft and the willingness and ability to share that with others. I humbly admit that I learned a great from the hometown prophets in Central Florida. But I should have known. Thinking back on the first conference I ever attended, it was much the same. Held by the Space Coast Writer’s Guild, it offered only sessions, no agents, no booths, just sessions on skill building, publication, and promotion. Looking back, the presenters at that simple conference gave me the vision of my future career that I’m still using as guidance. True, the national and international conferences draw big names. But they draw big numbers and big price tags as well. My advice–don’t discount the value of local conferences on whatever topic. There is no substitute for intimacy. Today, I experienced a scene more suitable to a depression-era dust bowl (or Dune) than the rainy season in Florida. My husband has been working about two hours from our house, so I took a road trip to visit his new home away from home. 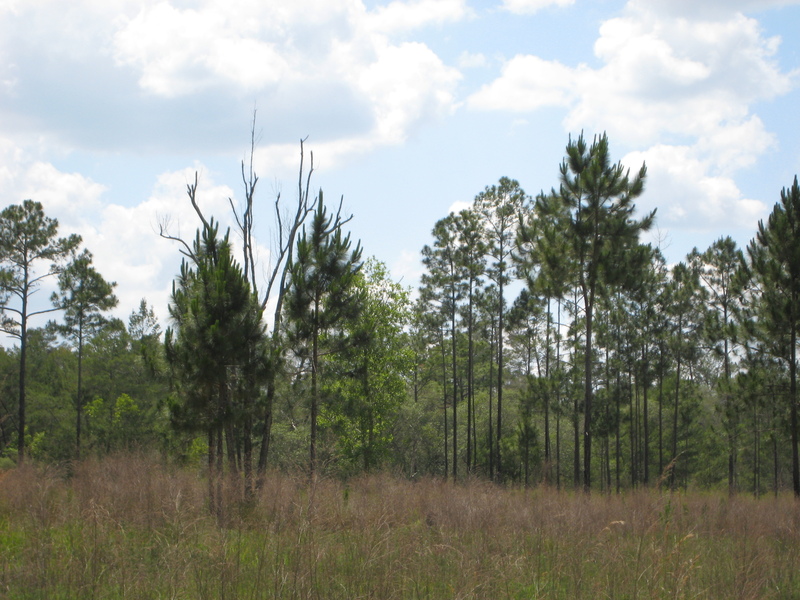 The drive wound through the gently rolling hills of the Central Florida Ridge and skirted the Withlacoochee Forest. Miles from any beach, the scenery took on all the flatness of coastal Florida. 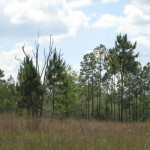 Sandhill pines gave way to cypress swamps and marshlands. The air began to fill with dust. I drove past a new housing development with looming gates and signage readable by satellite. As the dust grew thicker, I switched the air conditioner to recirculate. The long straight road divided cow pastures and marshland. Within a mile, a sandstorm enveloped my truck. Miles farther down the road, I came to the origin. Wind whipped sand from acres of bare ground into a dust cloud that spread for miles. The land looked as though it was being prepped for use as a SciFi movie set with huge tree-felling machines and bulldozers. In the distance the skeletons of half-built apartment homes stood near what remained of the woods, construction crews scurrying over them like ants. This is what has become of my home state. First the coastline was filled in with hotels and condos, now marshes and pine forests are being converted to housing developments situated miles from any real town. I’m sure the developers will put in a ready-made “town center” to accommodate the new settlers. Those people will have no idea that Florida’s natural beauty was cleared out to build their walled and gated communities. They will lovingly decorate their new homes with items purchased from their sparkling yet generic town center, things undoubtably imported from China. The tragedy is they will miss out on what Florida used to be.